One of the most bothersome aspects of a factory 6-speed transmission is the 1st to 4th shift mandate under normal acceleration. Don't fret any longer. Corvette Mods is here to help you end that problem and protect your wiring harness at the same time. Our C4 Corvette 1989-1996 6-Speed CAGS Skip Shift Plug Seal Set simply plugs in at your Corvettes transmission. It properly and effectively eliminates the CAGS feature allowing you to shift to any gear at any time. 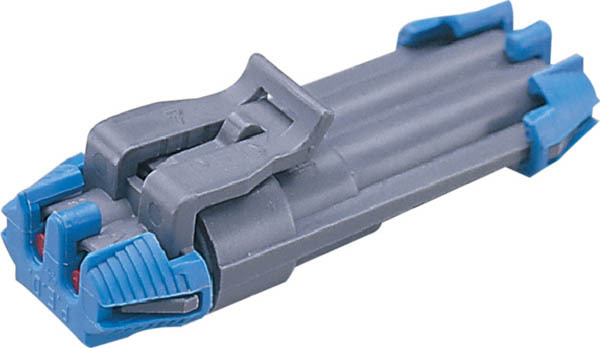 By simulating normal operation of the CAGS system, our Skip Shift Plug Seal Set eliminates the normal check engine light associated with disconnecting your CAGS harness. If you have disconnected the Computer Aided Gear Selection (CAGS) system, use our C4 Corvette 1989-1996 6-Speed CAGS Skip Shift Plug Seal Set to protect the open ends of the harness. Dirt and corrosion can enter the open ends and cause problems. These plugs are custom made for the harness and allow you to reconnect it, if necessary, with no modifications or problems. Please use the drop down menu above to make your year selection.